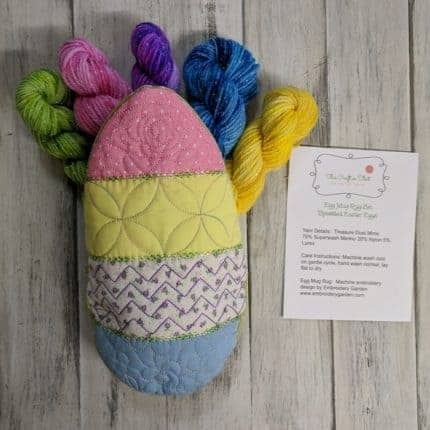 The yarn included in this set is dyed on our popular Treasure Dust Minis made up of 75% Superwash Merino, 20% Nylon and 5% Lurex. A lovely yarn that is soft, yet durable with a just enough sparkle and is machine washable in cool water on a gentle cycle. Hand wash normal and lay flat to dry. 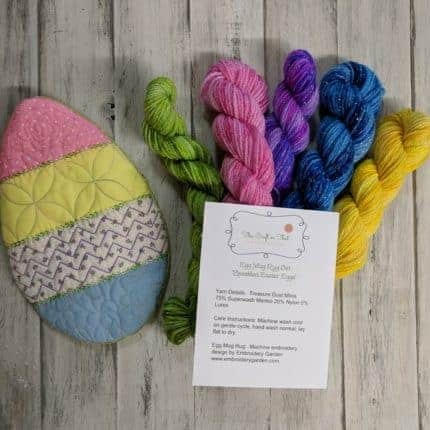 The colorway for this set is “Speckled Easter Eggs” made especially for this set and Easter.